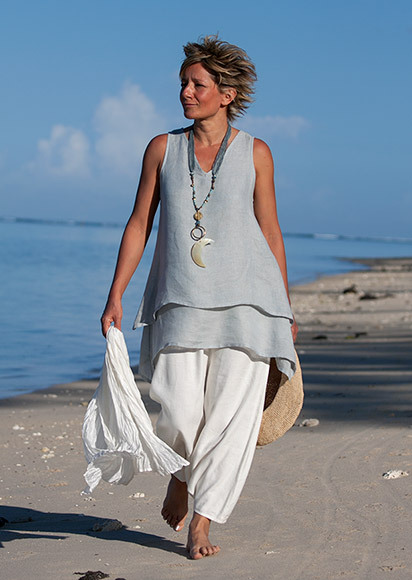 Coastal elegance : double-layers for this pale blue linen gauze Top, worn over a cream color mixed linen sarouel-skirt. 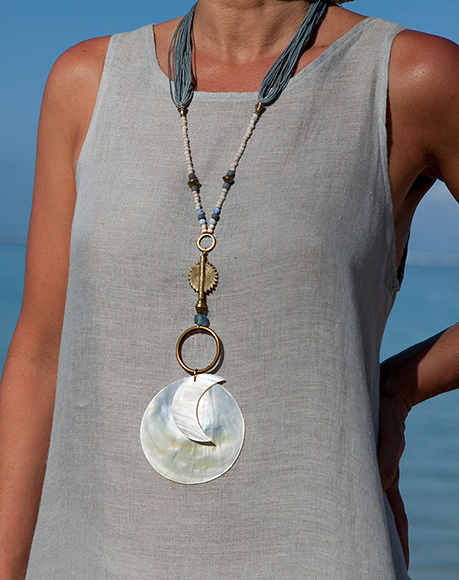 Turn the heads on with this bright mother of pearl pendant ! Javanese blue glass and seed beads, African "Baule" brass bead, waxed cotton cords .